The pendant design of the necklace carries three small diamond-shaped diamond accented designs. 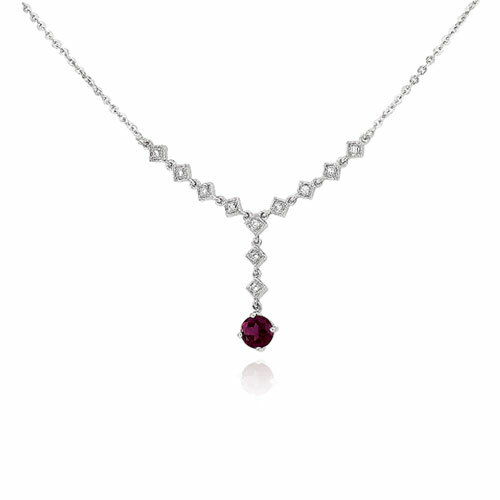 At the bototm of the pendant is a small teardrop-shaped stone of rhodolite garnet. The necklace also carries multiple, diamond-shaped, diamond accented designs.